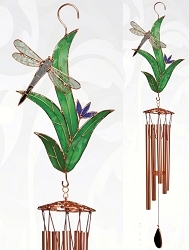 Add whimsical design, sound and color to your garden landscape! 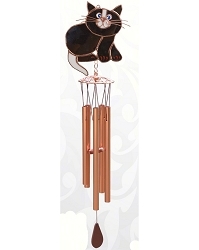 Our charming wind chimes are anything but the same old thing. 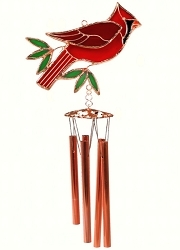 Featuring beautifully colored glass chimes, they are equally at home in the wind or decorating your wall. 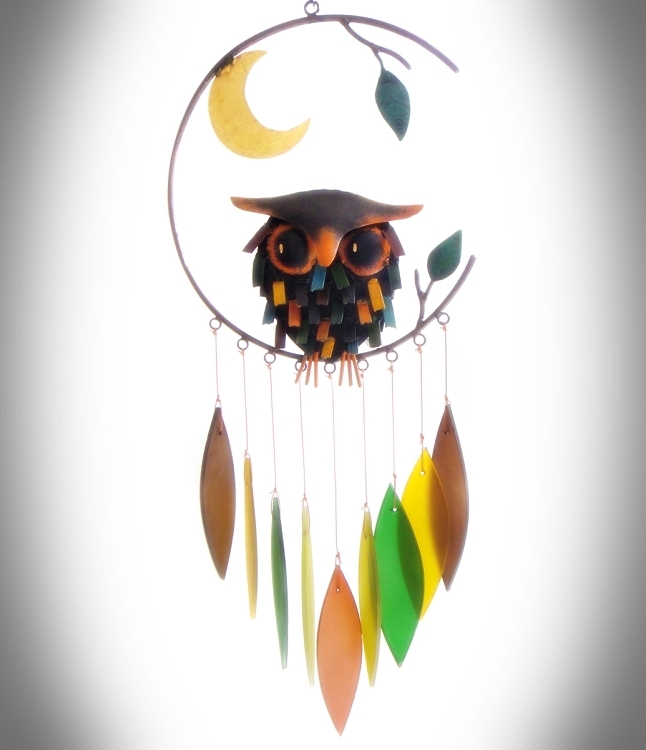 The beautiful Spiky Owl and Moon Wind Chimes are handcrafted by artisans in Bali. 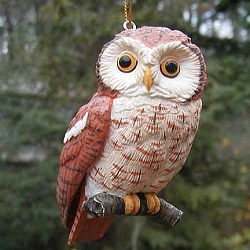 Because they are handcrafted no two are exactly alike. 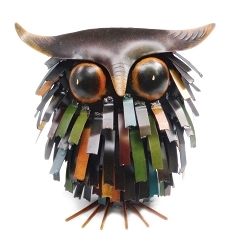 Handcrafted metal with sandblasted glass. 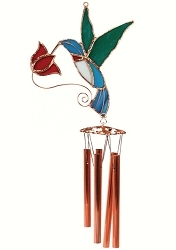 When the wind blows the movement of the glass provides a gentle soothing tinkling sound. 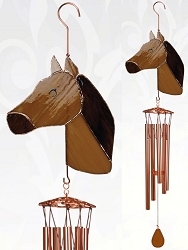 Includes hanging hook. 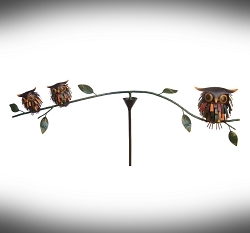 Also effective as wall decor. 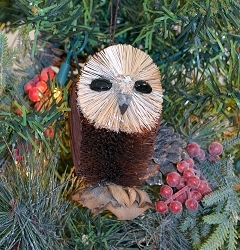 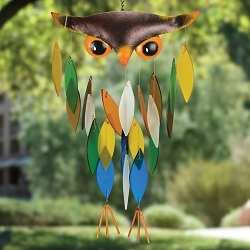 Makes a wonderful gift for nature lovers! 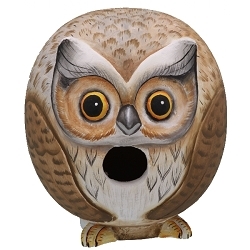 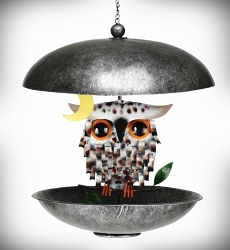 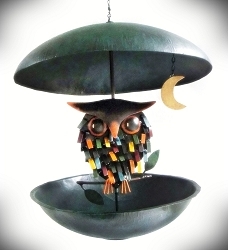 Let the sounds of the Spiky Owl and Moon Wind Chime fill your back yard! 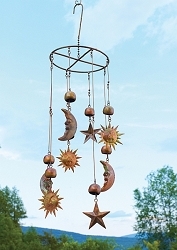 To prolong the life of your wind chime, do not leave it out in extended inclement weather or heavy winds. 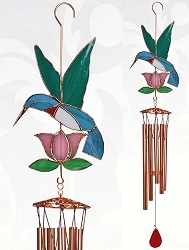 Dimensions: 1.5" x 7.5" 22.5"
Hummingbird with Pink Flower Stained Glass Windchime Large 40"
Dragonfly with Leaves Stained Glass Windchime Large 40"
Horse Stained Glass Windchime Large 40"
Hummingbird with Red Flower Stained Glass Windchime Small 20"
Cardinal Stained Glass Windchime Small 20"
Loon Stained Glass Windchime Small 20"